I don't know if any of you have this issue, but ever since I had my babies, I have had skin troubles. Including rosacea and acne. Acne...I don't like to admit it because I'm an adult who is closer to 30 than I would like to admit. So the discussion of acne is super embarrassing to me. 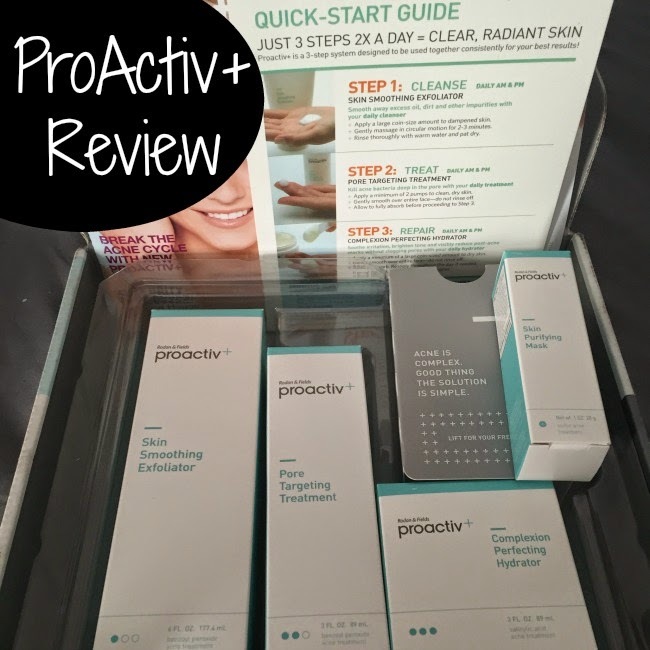 I recently had the opportunity to try out Proactiv+. I was really, really nervous about trying it out because first of all you had to do a "test spot" to make sure that you didn't have an allergic reaction or anything to it. But as I'm getting older, I guess I'm willing to venture out more, because what I was using is obviously not working. There is no cure all for acne, let me just throw that out there. But there has to be a better way to control breakouts. Super embarrassing. No touch ups. And better camera so you could get the full effect. What was I thinking. Proactiv + helps fight breakouts and makes your skin look and feel healthier through a range of skincare ingredients. 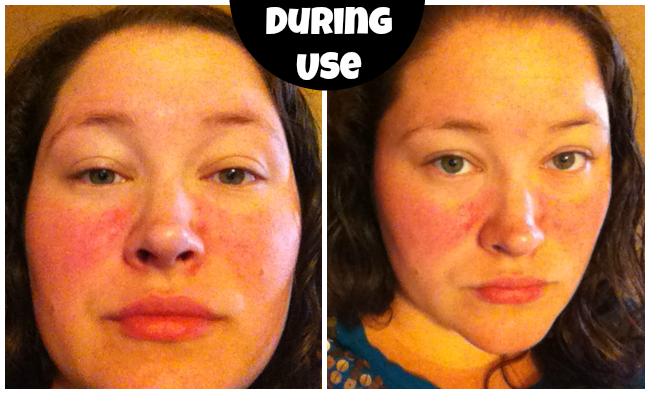 My Rosacea was more prominent during the first initial uses. I started using Proactiv+ about a month ago, when I first started using Proactiv+ my skin really burned and my face turned red. I had read online that this is normal and it passes quickly, which it did. My skin was still a bit irritated so I started treating only once a day instead of both morning and night. I then started using the 3 step system every night and in the morning twice a week. I since have had no irritation or burning. With my new niece and I am LITERALLY glowing! My favorite product is the smoothing exfoliator. I have flaky skin and it has made my face feel refreshed and vibrant while also getting all the dirt off and opening up my pores. 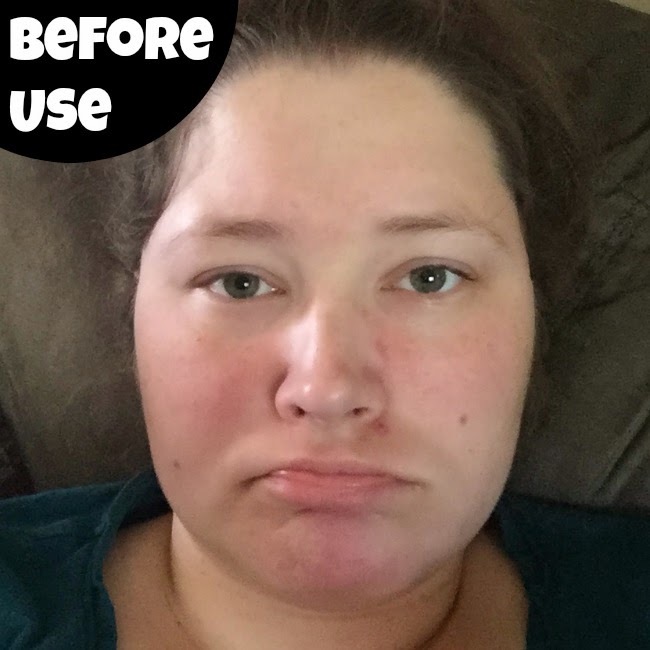 I started noticing my face looking smoother and softer, most of my acne was fading away. I have also been using the complexion perfecting hydrator throughout the day to help with my dry and flaky skin that I am prone to. I am really seeing improvements in my skin. I still get a pimple here and there, but it goes away pretty fast and my skin looks healthy and glowing. The system has been great to use, but is a bit time consuming. I have a daughter in 3K and a 9 month old son. I have trouble finding time for myself, but I do need to make time for me as well. I also recorded a little video update for all of you as well. You can check that out below. Have you ever thought about using Proactiv+? What do you think about it? Please share your thoughts below! I never had too much trouble with acne, but I have friends who do. I will have to tell them about this! I used to use this in my late teens. It's nice to see there is an adult version. I have been wanting to use Proactiv for so long but have just never done it. I might have to give this a try.